A few days before the opening of the Winter Olympics in Sochi, the safety of the Russian gay community is worse than ever. 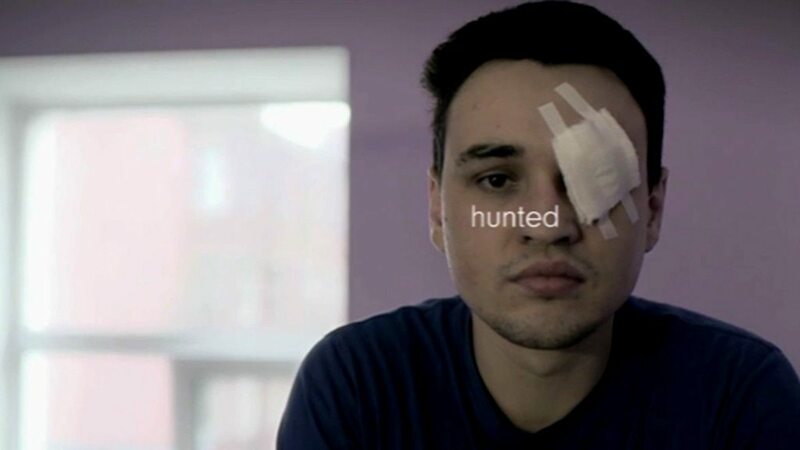 Channel 4’s harrowing new documentary, Hunted, follows the Russian gangs that hunt gay men for sport. Investigative journalist Liz MacKean got inside the St Petersburg branch of Occupy Paedophilia, an anti-gay organisation with at least 37 chapters across Russia. The group tracks down and abducts gay men, torturing and humiliating them, before posting the footage on the internet. Despite some low-tech harassment outside a gay film festival, the vigilantes aren’t afraid of using technology to hunt their prey – they use gay dating websites for what they call ‘safaris’, attempting to lure gay men to a flat where they wait in ambush. In the film, showing off for the camera, the group find a man looking for a hookup, and lure him back to the flat. He is caught and held down, as the group set about extracting a confession from him. “We will ruin his life, as usual”, one quips. The group humiliate the man, coercing him into an ‘interview’ about his sexuality, and forcing him to dance. Compared to some of the other victims of the vigilante groups, he is lucky; being beaten and drenched in urine is the standard humiliation, but some of the assaults have been much, much worse. Across town a lesbian couple, Yulia and Svette, live in constant fear that they will be targeted, or that their three children from previous marriages will be taken away from them under the propaganda law. They are tired of hiding their relationship, but make clear they will fight to keep their children. “They’d have to shoot me first,” Yulia says. MacKean agrees that the constant negative reinforcement that gay people are paedophiles is making things worse, and is held up by an ‘unholy alliance’ of President Putin and the ultra-conservative Russian Orthodox Church. The police and justice system seems to do very little to stop the groups or the attacks. In Dima’s case no arrest was made, and in another, anti-gay activist Gleb Likhotkin was let off with a suspended sentence despite video evidence of him shooting a gay man in the face with a rubber bullet. As no gay hate crime law exists in Russia, he was only charged with hooliganism. With the media gaze currently on Sochi for the Olympics, it remains to be seen how the situation will evolve, but Human Rights Watch are doubtful it will get better anytime soon. ‘Hunted: the terror facing gay people in Russia’ was broadcast on Wednesday evening.